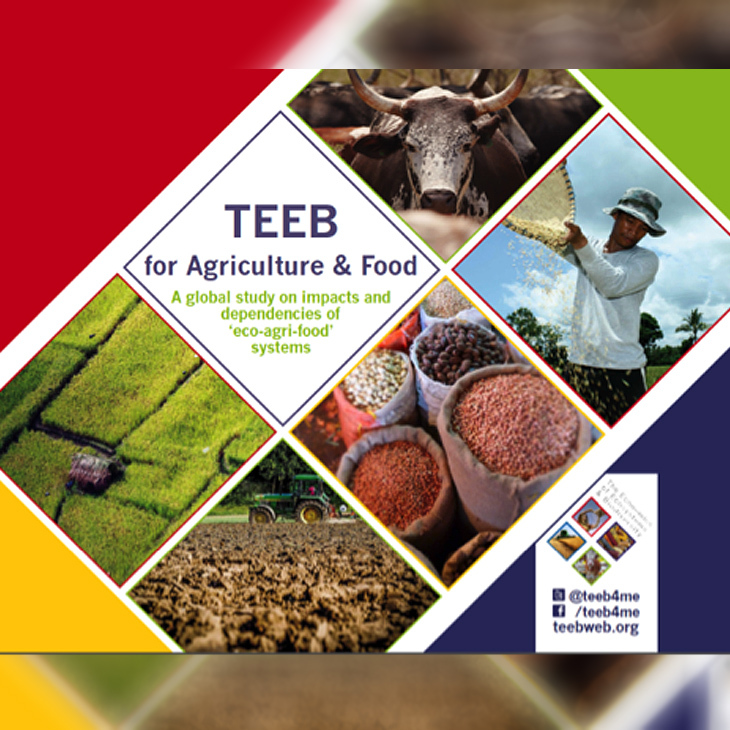 Interim results from the TEEB for Agriculture and Food study were presented to over 100 participants at the Global Landscape Forum during COP21. The interim study introduces the key questions, issues and arguments to be addressed by TEEBAgFood. Interim results were presented from five exploratory sector studies on livestock, rice, agroforestry, inland fisheries and palm oil. A 'valuation framework' meanwhile allows for the impact of different types of farming, its intensity or an individual practice on nature to be measured, as well as the role nature plays in supporting them. The TEEBAgFood study is led by Alexander Müller, former Assistant Director General of the Food and Agriculture Organization of the UN. The Study Leader was joined by TEEB founder Pavan Sukhdev, Guillermo Castilleja of the Gordon and Betty Moore Foundation, Francesco Branca of the World Health Organisation and Gustavo Junqueira of Brazil's Rural Society. Mr Müller stressed the need to “assess externalities - both positive and negative - to support a more sustainable agriculture”. “Contrary to 'putting a price on nature,' the goal is to examine more closely the implicit values of the services that nature provides at zero or close to zero cost," he added. UNEP Executive Director, Achim Steiner meanwhile highlighted the importance of the report in tackling climate and development challenges. The session was moderated by former US Deputy Secretary of Agriculture Kathleen Merrigan, who now works for the George Washington University Sustainability Institute. The paper aims to raise awareness on the importance of natural capital for the sector. It examines economic and policy drivers and incentives that influence land-use decisions and management techniques within production systems around the world and lays the grounds for the full report.